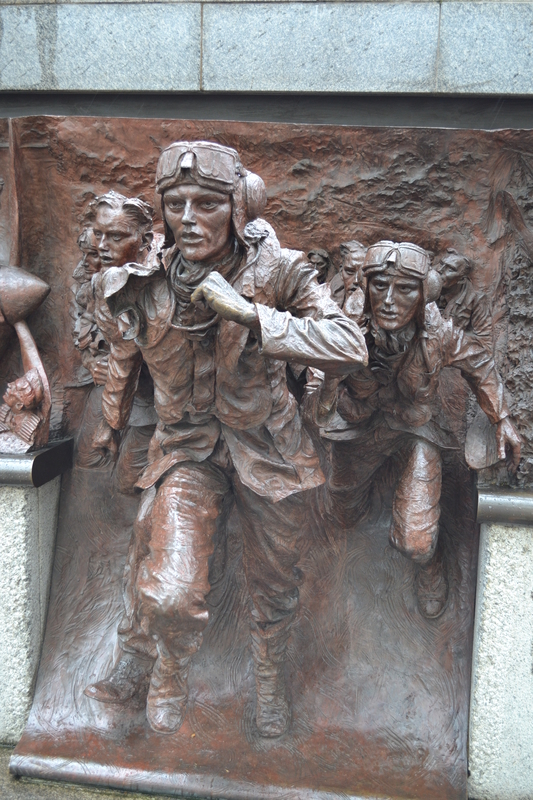 I will always remember the “Battle of Britain” memorial on the Embankment along the Thames in London. As I was looking for it, I slipped and fell down a set of stone steps and, as I have just found out, broke my my thumb. Putting my thumb aside, my question is this, “How effective will this memorial be in reminding Britons of their “finest hour”? I ask this because in a different arena, Europe is saturated in Christian statuary but the Christian message is in decline. Statues and crosses, or even church buildings are not necessarily effective means of keeping the gospel alive. Memorials are only as effective as the message that is attached to them remains fresh and alive. The 12 stones that Israel took from the middle of the Jordan as they crossed into the Promised land, didn’t stop their slide into rebellion. The Jews needed to keep their relationship with God real and personal. Christians, the “living stones”, have the challenge of living out the gospel message and drawing people to it with our words and lives. At best, memorials are only teaching aids – never a substitute.